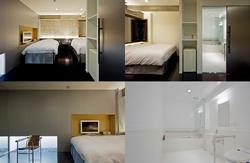 We are fully renovated in 'zen style' quality hostel and all the private rooms have an ensuite bathroom. We opened 20th Oct 2009 ! The sister branch in Toyko was voted BEST HOSTEL in Asia 2007.
convenient for many restaurants,attractions & shopping near by. K's House Takayama grand opened September 2012 ! 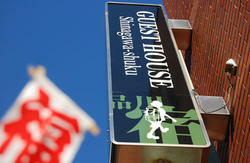 is located only 3 mins walk from JR Takayama station. It is also good base for visiting Shirakawago (world heritage site) or Japan Alps such as Kamikochi ,Shin hotaka ,Norikura. We wish to offer you high quality accomodation with afordable price private rooms as well as dorm beds with air conditioning and individual showers with hot water 24 hours a day. We also offer a guest kitchen , cozy lounge, internet access, laundry facilities (washing machine and dryer) . Please note our Twin room has one bunk bed for two people in a private room. K's House Tokyo (Our sister branch) was voted BEST HOSTEL in Asia 2007. 2. Transfer to subway Asakusa line at Aoto staiton(at the same platform). 3. Get off at Asakusa Station on Asakusa line. 15min walk from Asakusa station on subway Asakusa line. Keisei Narita Sky Access for Haneda Airport or Misakiguchi go to Asakusa station directly from Narita international airport. 1. Turn right at A4 exit and turn left on the first big street (Kaminarimon-dori street). 2. Keep walking (approx 10 min) on Kaminarimon-dori street unitl you get to the Kokusai-dori street. 4. After approx 5min walk, you can see ' Asakusa view hotel ' and supermarket ' Life ' on your left side and a small car parking on your side. 5. Turn right at the small car parking and walk into the narrow street. 6. We are just before the arcade on the right side of the street. 1. Take Narita express from Narita international airport. 2. Get off at JR Tokyo station. Please refer to the direction below after JR Tokyo station. 1. Take a limousine bus for Asakusa View Hotel. 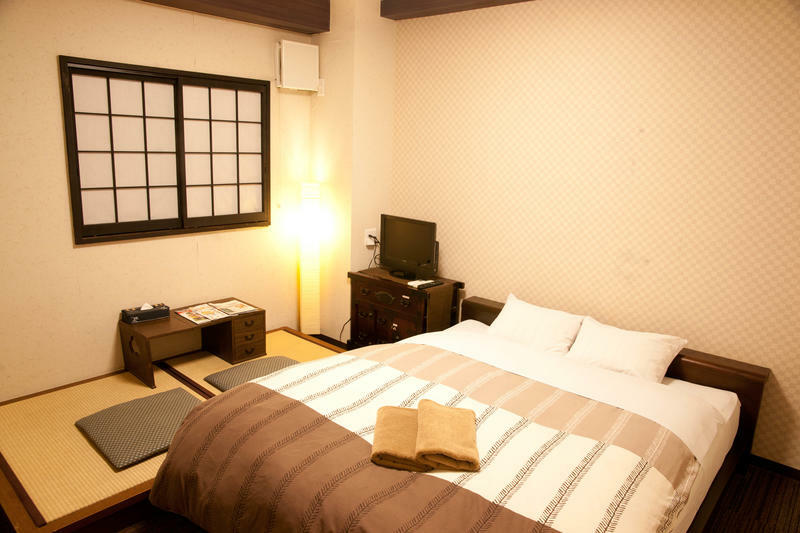 [[ Note ]]: Bus goes to Asakusa view hotel is available only twice a day. 2. Get off at Asakusa View Hotel and go to supermarket ' Life ' next to the hotel. 4. We are just before the arcade on the right side of the street. 1. Take Keikyu line from the airport. They have many direct trains (approximately every 10 - 20 min) from Haneda airport to Asakusa station on subway Asakusa line until around 10pm. 2. Get off at Asakusa station on subway Asakusa line. 3. Please read From Asakusa station on subway Asakusa line noted above to check the direction from Asakusa station on subway Asakusa line to our hostel (15-20min walk).